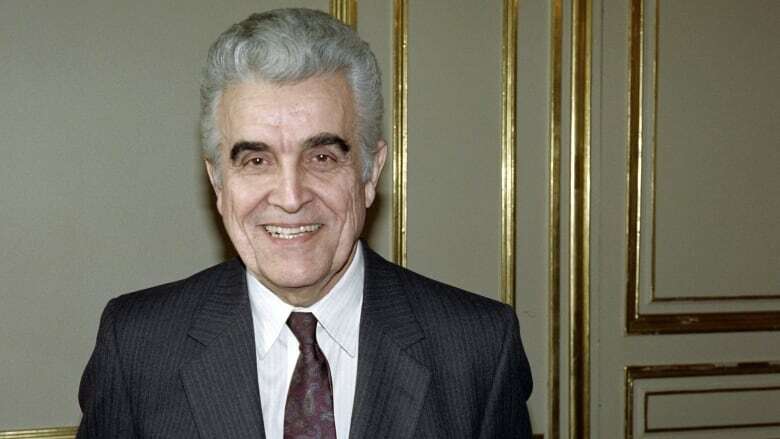 "When the whole world is globalized, you're going to be able to set fire to the whole thing with a single match," wrote René Girard, the French-born scholar who died late last year. Girard spent his career trying to understand what makes violence a chronic problem of human societies. His answer, in a word, is imitation. Peace is the perennial hope of humanity. It is promised in the Bible, where God "extends peace … like a river." It was promised by the Enlightenment, which had grown tired of religion and thought that reason and "doux commerce," mild trade, would soothe our war-like passions. And it was promised again in our time with the promotion of "globalization" as the road to peace through prosperity. This five-part series continues on CBC Radio's Ideas on March 10, 11 and 17. But violence is still with us. The Cold War had barely ended when the attacks that would eventually lead to today's conflagration in the Middle East began. René Girard, the French-born scholar who died late last year, spent his career trying to understand what makes violence a chronic problem of human societies. While we might assume that violence stems from having vastly different points of view, Girard's central insight is that violence actually grows from similarity. His explanation, in a word, is imitation. Out of this insight, Girard spun a theory comprehending literature and religion, anthropology and international relations. "When the whole world is globalized," Girard said, "you're going to be able to set fire to the whole thing with a single match." The human genius, he said, is our knack for copying one another. That's how infants learn vocabulary and the basic grammar of their native language in such an astonishingly short time. And that's how we learn everything else in our vast cultural repertoire. Some of our models are near at hand, our friends and family; others may be distant idols — actors whose gestures we adopt, athletes whose moves we practice, musicians whose ways of playing we emulate. But imitation casts a shadow, according to Girard, creating effects which we often don't notice or don't recognize as forms of imitation. He called his theory "the mimetic theory," substituting the fancier word of mimesis for imitation so that he would have a term of his own by which he could capture negative forms of imitation, like war, along with more positive ones. He began to build this theory in his celebrated book Deceit, Desire and the Novel, published in 1961. The book claimed that all the great novelists — in a tradition running from Cervantes through Dostoevsky to Proust — had made the same discovery: human beings, contrary to romantic myth, have no "authentic" core, no deep source of original, self-invented desire. Our desires are borrowed from one another: I will desire what my models desire. And there's the rub, Girard said, because at any moment the model can become an obstacle and a competitor. The teacher encourages the student to imitate him/her, but if the student imitates too well and begins to occupy the ground on which the teacher is standing, then the student will become a rival and a threat. Imitation may then become negative as rivals try to distinguish themselves from one another. I will imitate by doing the opposite of what my rival does — a violent reciprocity which reaches its acme in war. We fight because we are the same, not because we are different. "The profound self," Girard concludes, "is a universal self." Girard took a second giant step in the formulation of the mimetic theory with the publication of Violence and the Sacred in 1972. He argued that violent mimetic rivalries must have been endemic in all early human groups to the point of threatening their survival. And what these groups must have discovered, again and again, is that when all this violence is channeled against a single victim, when all unite against one, peace can be restored. This effect would have been so dramatic, so welcome and so reliable, Girard supposes, that the group would have, in time, come to view their victim as their saviour and their god. According to Girard, this is the origin of religion and the root of all mythology. Regular sacrifices and a set of accompanying prohibitions — thou shalt not — preserve order. "Humanity," he said, "is the child of religion." Girard took the final step in the construction of his theory in 1978 with the publication of a book named after a New Testament verse in which Jesus said he will reveal Things Hidden From the Foundation of the World. Its central argument is that Christianity completes what has already begun in the Hebrew Scriptures: the unveiling and disabling of the scapegoat mechanism on which all cultures had previously been based. Girard would go on to elaborate on and extend this theory in many subsequent books, and you can hear much more on CBC Radio's Ideas this week. Mimetic theory has a lot to say to today's world. It can show us why we fight, and what we're fighting for. And it can help to understand that both violence and religion might be something quite different than we usually take them to be.